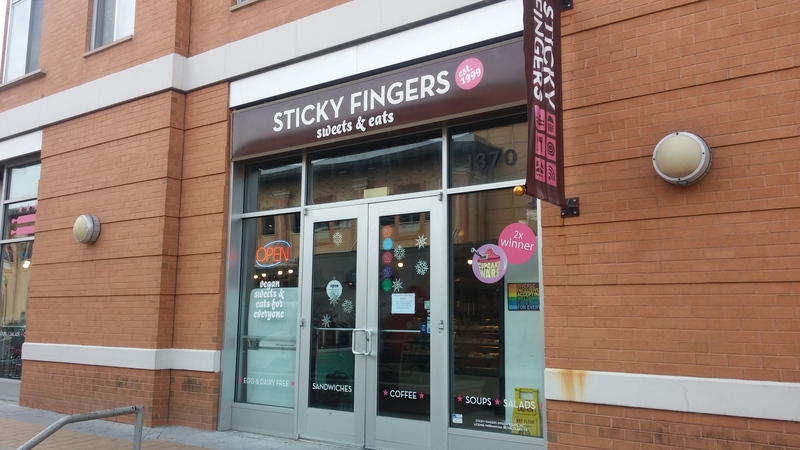 Sticky Fingers, located in the Columbia Heights neighborhood of Washington, D.C., was created by vegan baker extraordinaire Doron Petersan in 1999. Kirsten Rosenberg later joined the team and the rest is “sweet” vegan history. 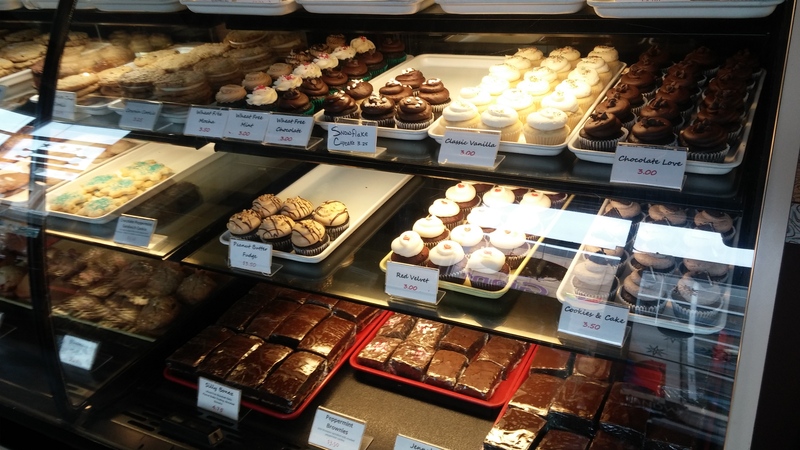 With two wins on the Food Network’s Cupcake Wars and several other prestigious awards for Doron’s unforgettable desserts, the Sticky Fingers team shows people that they can eat delicious muffins, cookies, cupcakes, pastries, cakes, and other desserts without using animal products. I’ve eaten at Sticky Fingers several times since it opened so I knew what to expect from their famous Sticky Bun and Red Velvet Cupcake. Pure decadence. Doron’s hot selling cookbooks even show customers how they can make vegan treats at home. I was on a mission to provide a full review of the restaurant on this visit. Unfortunately, the experience fell short. Before I share the details, I want to preface my comments by saying that Doron’s baked goods are delicious. It doesn’t get any better. So, if it’s desserts you want and you’re not looking for a meal, ambiance, or a memorable customer experience, go there! 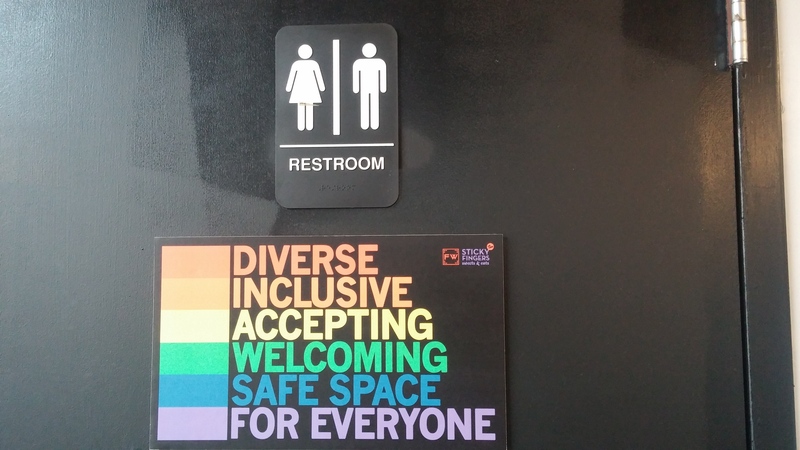 Also, I can’t be too critical of any restaurant with this sign on its bathroom door. Right on Doron. Beautiful. When I entered Sticky Fingers, I received a grudging hello and I was the only one there. Even after I introduced myself, presented my card, and explained that I was visiting to review the restaurant, the energy was flat. The cashier who took my order didn’t make any connections, offer samples for me to promote, or check to see if I enjoyed what I ordered. She seemed like a good person and had product knowledge but she could probably benefit from additional training. She lacked an awareness of the importance of her role. She is the sole greeter and order taker and thus needs to exhibit personality and gratitude, especially since it will be many people’s first experience with an all vegan restaurant. She is the Director of First Impressions. It’s hard to find good help at restaurant wages but it’s important, possible, and necessary. This experience was markedly different than others I’ve had at restaurants. It. can’t. happen. Every customer has the power to return and spend thousands of dollars over the course of their time as a customer and refer people who can generate thousands more. Or not at all. Since most restaurants don’t go above and beyond to treat customers like guests in their home, doing so can give a restaurant a distinct advantage. The field is easy to beat. 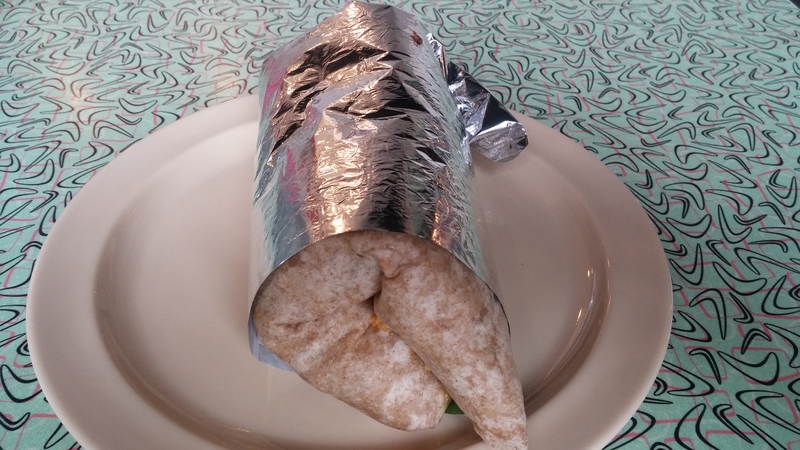 I ordered the tofu scramble with black beans, corn, green chilies, tomato, spinach and house-made cashew cheddar wrapped in a flour tortilla and served with roasted potatoes. It was overloaded with large spinach leaves that should be chopped and to my surprise and disappointment, it was a bit bland. It was filling and satisfactory but not something that would occupy my thoughts. Again, Sticky Fingers isn’t called Sticky Fingers for its tofu scramble. You would not regret going for the Sticky Bun alone. Sticky Fingers is funky looking in a good way (reminiscent of an old diner) but it’s kind of beat up. I like the 1950’s retro look but it could use some warmth and repairs to its booth cushions. A few minor renovations would spruce it up. I didn’t order any desserts to review because the experience was so bleh but I know their desserts rock. I was also going to visit Doron’s new sister location, Fare Well, also located in D.C., but I decided to pass on that as well because I wasn’t motivated by this visit. Having said that, if you want some of the best vegan desserts and you’re in the Capitol Heights area, I highly recommend Sticky Fingers. It’s refreshing to see a small, female-owned, vegan business going strong after 20 years. Doron is an inspiring success story and I wish her continued success. I like your honest reviews. Unfortunately, poor customer service is the norm in today’s world. Usually the only places where I receive decent customer service is from an owner run establishment. I’m a vegan and I shop with my dollars, but I won’t spend my money at vegan businesses if their product or service is poor.